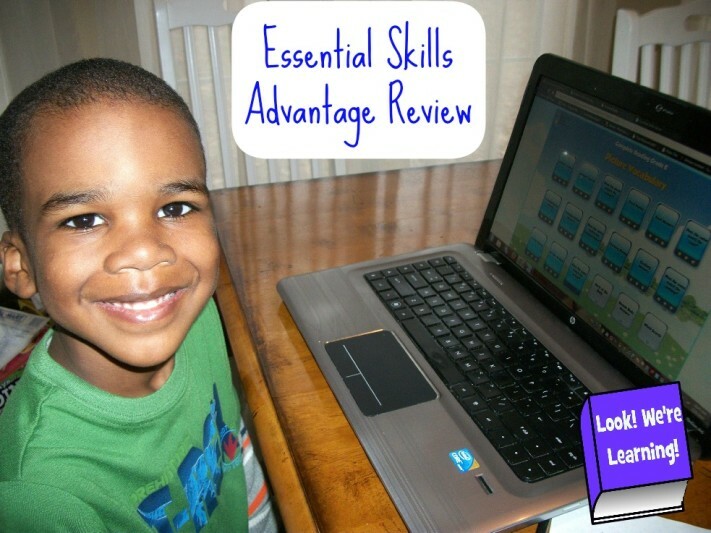 Essential Skills Advantage Review - Look! We're Learning! Good morning! It’s a new day at Look! We’re Learning! 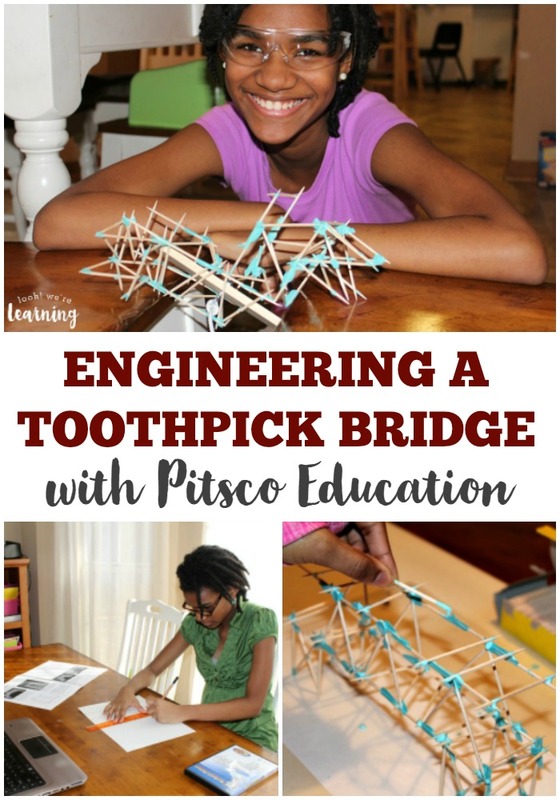 because today we’re featuring our first-ever sponsored post from our good friends at Educents! 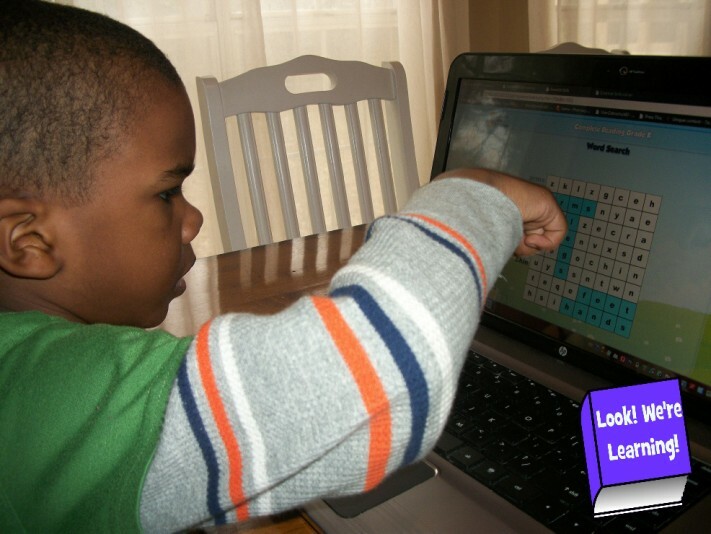 The program we’re highlighting is Essential Skills Advantage and it’s an excellent reading and language computer program for children aged 4 to 12! In the past Essential Skills Advantage has been used in the public school system, but the program is now available for homeschoolers and tutoring! This is a sponsored post. I received access to this program in exchange for this review. See our Disclosure Policy for details. The multi-grade level access is what really won me over to the program. We decided to start Roo out with the kindergarten level, just to see how he did. He did so well at it that we’re going to go right into the first grade level with him afterward! Since Essential Skills Advantage allows parents to work on any grade level with their children, it’s simple to go up or down a level as you need to. As soon as we started, I noticed that the program has a constant background sound of crickets and birdsongs. It literally sounds as if you’re sitting outside while you’re working. 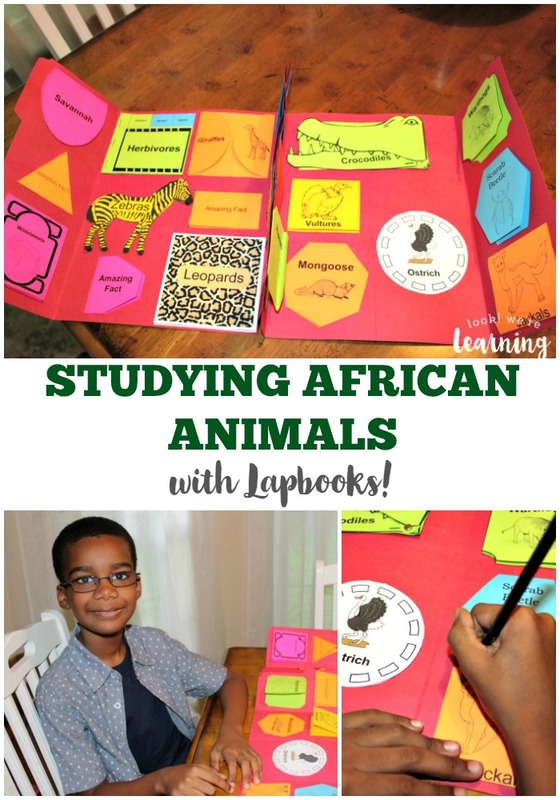 It’s very peaceful and relaxing, and I wouldn’t be surprised if that didn’t contribute to Roo’s ability to sit still during the lesson, especially since he has ADHD. 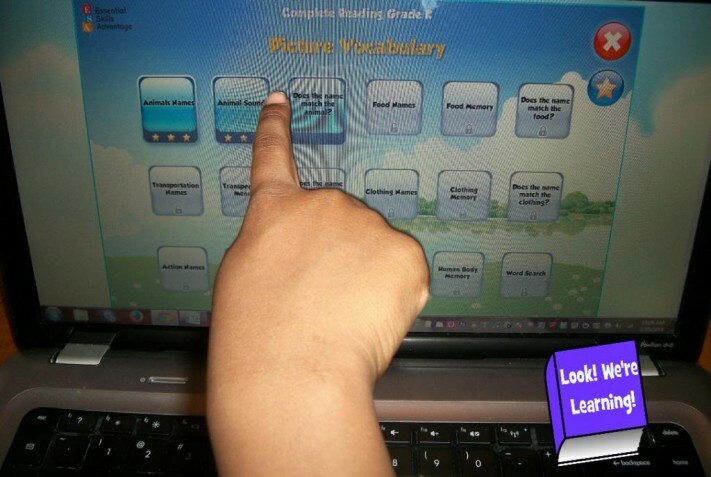 We began with the “Picture Vocabulary” unit in the Complete Reading Grade K program. 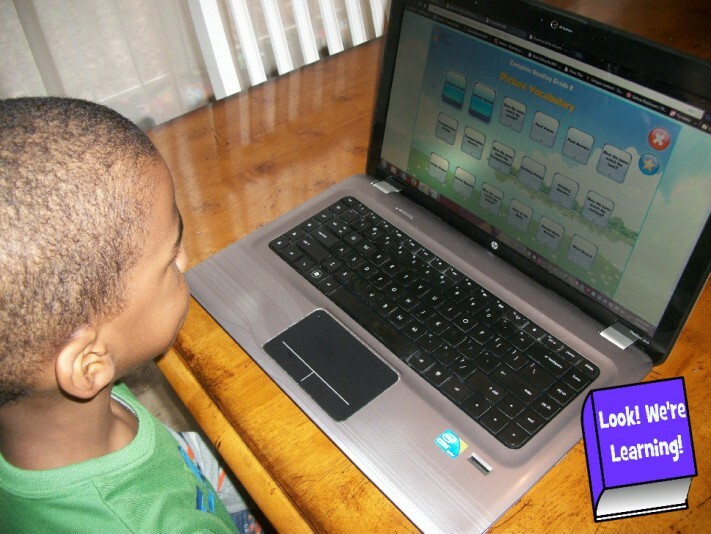 Rather than working on sight words and phonics right away, ESA starts with simple picture words that are paired with spoken words and related sounds. 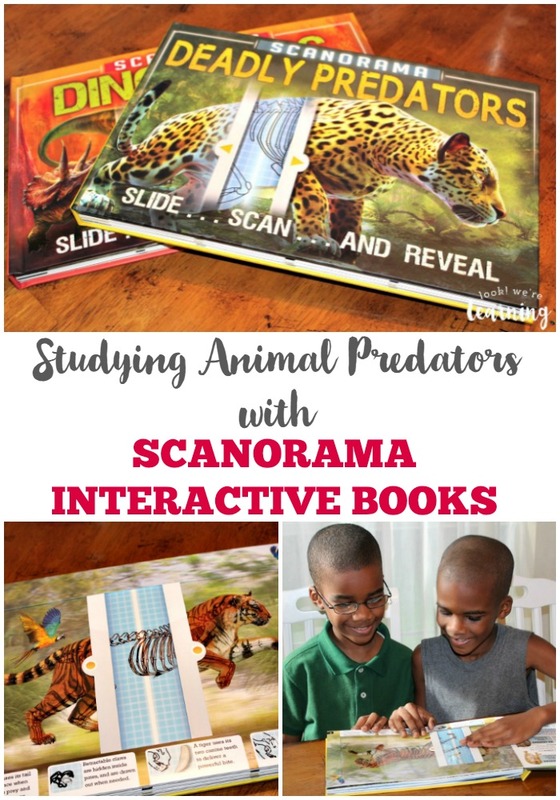 For example, in the Animal Names lesson, students are shown a picture of an animal while they listen to the name of an animal being said. If the animal name and picture match, kids click a checkmark. If they don’t match, they click an “X”. After the Animal Names lesson, we went on to Animal Sounds where Roo matched animal pictures with the sound they make. Since the program shows one picture and plays one sound at a time, it was easy for Roo to concentrate without becoming overwhelmed. He could also click a picture of an ear when he needed to hear a sound again. 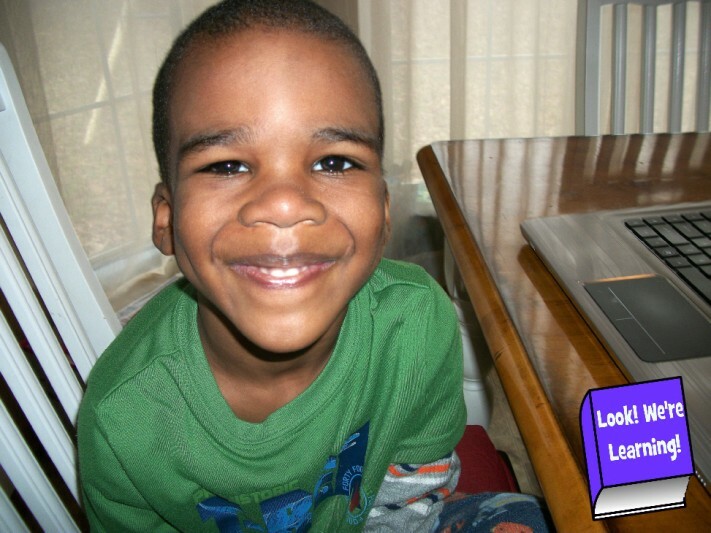 The screen uses picture icons and very few words, so he was able to navigate it himself. 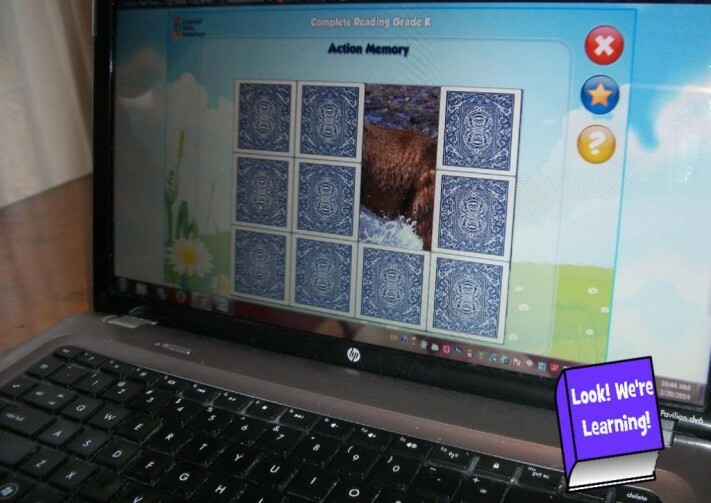 In the Food, Transportation, Action, and Clothing units, kids get to play a memory concentration game. They’re asked to flip over cards that match a picture with a written word. The program says the written word as well, which is great for kids who are still working on their reading skills (like Roo). As they match cards, they get to see part of a picture below the puzzle. For Roo, that was a big incentive to finish the activity, since he wanted to see the finished picture underneath. While Roo was working on the Transportation unit, he had to listen to transportation words to see if they matched the pictures of transportation vehicles such as bicycles, cars, and vans. After the word played, Jay would try to distract him by saying “He didn’t say ‘motorcycle’. He said ‘Popsicle’.” or “He didn’t say ‘truck’. He said ‘duck’.” Each time, Roo would say, “No, he said ‘motorcycle’.” or “No, he said ‘truck’.”, which just goes to show how well the program held his attention. At the end of the Human Body unit, there was a word search activity. 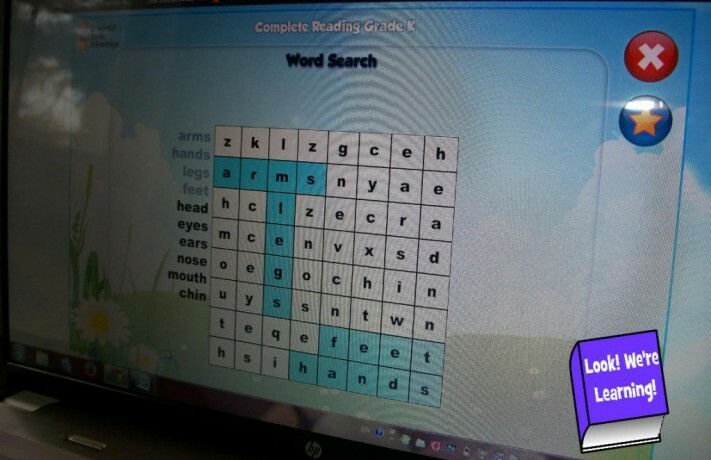 Initially, Roo was a little confused about how to do a word search, since it was his first time. We showed him how to look for the beginning letter of each word in the puzzle and then spell out the following letters to make sure he chose the correct word. What was even more impressive to me about Essential Skills Advantage is that it was so engrossing, Roo sat at the computer for a solid hour and did not move ONCE. We’re talking about a boy who cannot utter a single sentence without turning around in a circle. And he sat in the chair for an hour working on this program. Incredible. Happy four-year-old learner for the win! One more thing I loved about Essential Skills Advantage is that it presents small challenges to kids to keep them on task. For example, in the Action Names lesson, Roo was asked to match pictures of action with spoken words. When the program would say a word like “walking”, he would have to look at three pictures and select the one that showed walking. Of his three choices, two of the pictures rhymed. One picture showed someone walking, and another showed someone talking. That kind of challenge requires kids to practice active listening skills and deliberate attention on their tasks. We absolutely loved using Essential Skills Advantage! It was a wonderful program that even managed to keep a four-year-old ADHD learner’s attention! If you’d like to learn more about ESA or sign up for a free trial, visit the Essential Skills Advantage website today! Like this post? Check out some of our other curriculum reviews! Follow our Homeschool Curriculum Choices board on Pinterest for more ideas!